1. 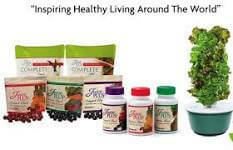 Take fruit capsules in the morning and veggie capsules in the afternoon or evening. Take Vineyard with your highest fat meal. 2. Initially, the Juice Plus+ may have a detoxifying effect (cleansing). THIS IS GOOD FOR YOU. But if it is bothersome (and it does only last a short time),you can back off to fruit capsules in the morning and veggie later in the day. Nutritionally you need 2 and 2 so work up to that level after your first week. If your diet already includes a lot of fiber, you will likely notice very little in this regard. 3. Take your Juice Plus+ with a full glass of water, preferably chlorine free. Drink it all. You are reconstituting the juice of approximately 3 pounds of fruit in the morning and 3 pounds of vegetables in the afternoon. Part of the detoxifying process involves releasing toxins in the digestive tract which may produce some gas. You can reduce this effect greatly by drinking more water. I KNOW, I KNOW. But water is also good for you and it is recommended for good health that you drink 8 FULL glasses a day. 4. Avoid taking your Juice Plus+ with any caffeine product. You may discover more energy from the Juice Plus+ than you’ve ever had from coffee! 5. To get the maximum nutritional benefit, take Juice Plus+ just before a meal (20 minutes before if you’re trying to lose weight). The enzymes in Juice Plus+ “tell” your body what to do with the food you are eating: to use it, save it or eliminate it. You are a unique individual, so don’t be afraid to experiment with the “whens” and “hows” of your Juice Plus+ plan: You can divide the 4 capsules up throughout the day. If you get too much energy at night from the veggie blend, take it at lunch or divide it up. If you need a “lift” in the middle of the day, take an extra veggie (instead of that candy bar). Or even better, drink a delicious Juice Plus Complete shake! To accelerate the cleansing, take it on an empty stomach 3060 minutes before eating and down it with LOTS OF WATER. If you ever experience heartburn or indigestion from something you eat, try an extra fruit capsule instead of an antacid. If you’re fighting off a cold, haven’t been getting enough sleep, or are under a lot of stress, double up on your Juice Plus+. Just take it.